Sheridan Peale Standard Sham - Single White. A classic white on white quilted pattern features in this bedcover, sham, European cover and cushion story. 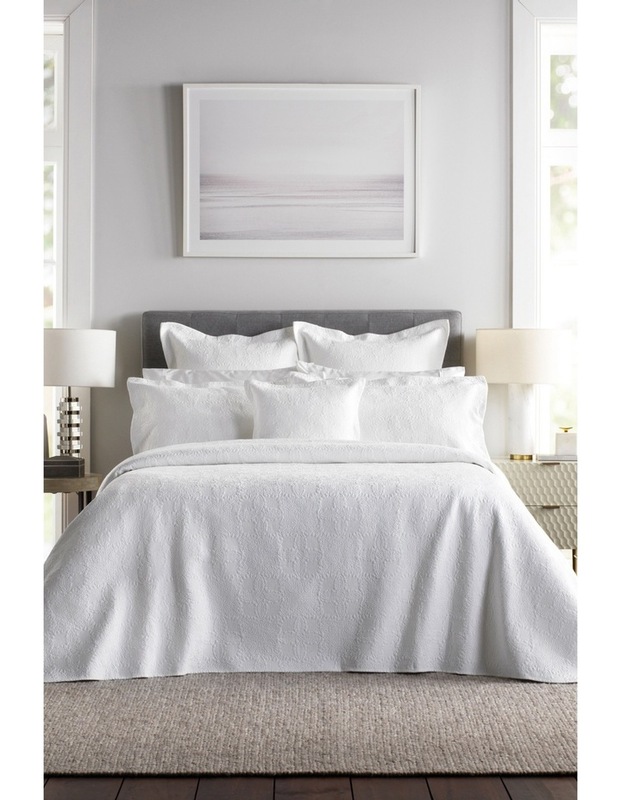 100% cotton with bound edge finish this design offers a practical decorative solution to guest rooms and master bedrooms alike.